Plant roots – the heart and soul of your plants. We often make the mistake of thinking that the foliage part of the plant is the most important. However, the most crucial part of your garden and the key to ensuring a healthy, heavy yield, is without dispute, your root system. 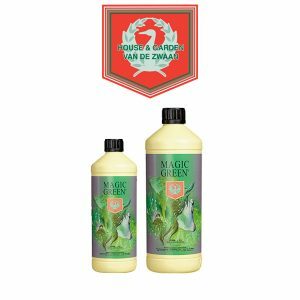 With root health being so vital, proper care is necessary to maintain vigorous root growth throughout all stages of plant development. The biggest threat to your plants is Pythium, or Root Rot – a fungal like organism which grows and produces spores to attack your plants root zone. These spores present an extensive threat to your system, as they can move from plant to plant via the water in the system, colonizing and infecting along the way. In addition to this, high temperatures in grow rooms or over watering due to lack of drainage make for the ideal environment for root rot to spread. Once Pythium infection occurs, control is difficult. Prevention is the best strategy. Go Roots is the most concentrated root accelerator and defender on the market. Go Roots is a unique formulation which incorporates a systemic Fungicide which not only promotes new root growth, but gives roots protection during the entire crop cycle. Plants generally stop producing new root growth early in flowering, which means that roots are more open to disease attacks. Go Roots is designed specifically to prevent and safeguard against organisms such as Pythium and Phytophthora. Go Roots contains purified Humic and Fulvic Acids to carry an array of Bio Stimulants that trigger explosive feeder roots. These humates help break down the nutrients in the soil and make them much more available to the plant. Fulvic acid’s standout quality is its ability to convert nutrients from poor soil quality into ions and minerals that can easily be absorbed by the root. 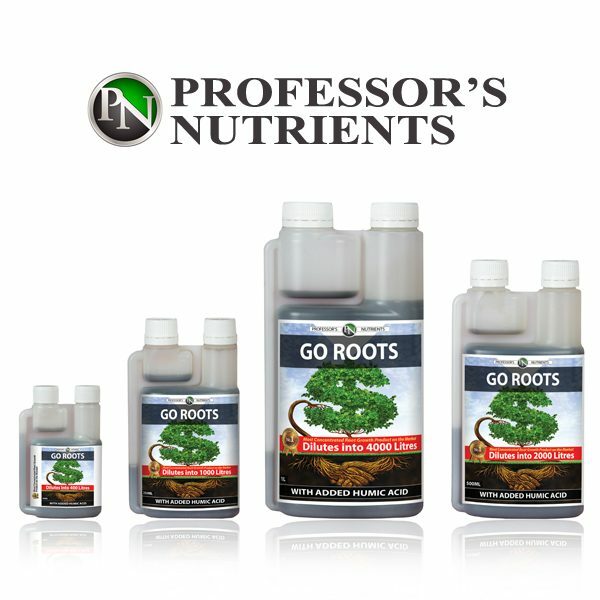 Unlike other root stimulants which are only effective in the vegetative stages of growth, Go Roots will protect your roots throughout the entire plants life cycle. 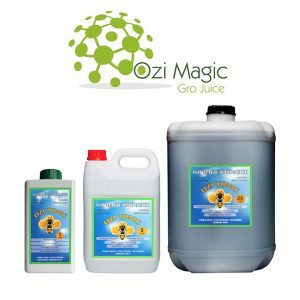 Propagation : Soak medium at a rate of 1ml per 4L before placing in cuttings, continue to soak medium as needed at the same rate during the propagation stage or otherwise us Professor’s Starter Soak. Vegetative : Add 2.5ml per 10L to nutrient solution throughout the entire vegetative stage. 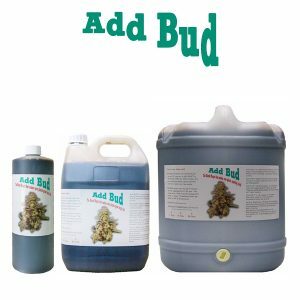 Flowering : Add 2.5ml per 10L to nutrient solution for the first 4 weeks of flowering, then reduce strength to 2ml per 10L to protect existing roots from root disease.